UPDATE: 221 girls in Gulu have now been sponsored! Only 29 more to go. Thank you so much for rallying with us! Two weeks ago, I wrote about (finally) saying YES to a big, hairy dream God had placed in my heart: raising $10,000 to provide desperately needed sanitary pads, hygiene products and life skills training to a school of 250 young women in Uganda. Here’s the Coles notes version: God tells Megan to raise money for Keep a Girl in School. Megan tries to get out of it. God’s not down with that. Story concludes with Megan heroically telling God, “I’ve got this.” Cut to Megan standing on a dramatic cliff, her superhero cape fluttering in the wind. Yup, that’s pretty much accurate. So I threw myself into this big hairy dream with Chervelle, a divine friend of mine. 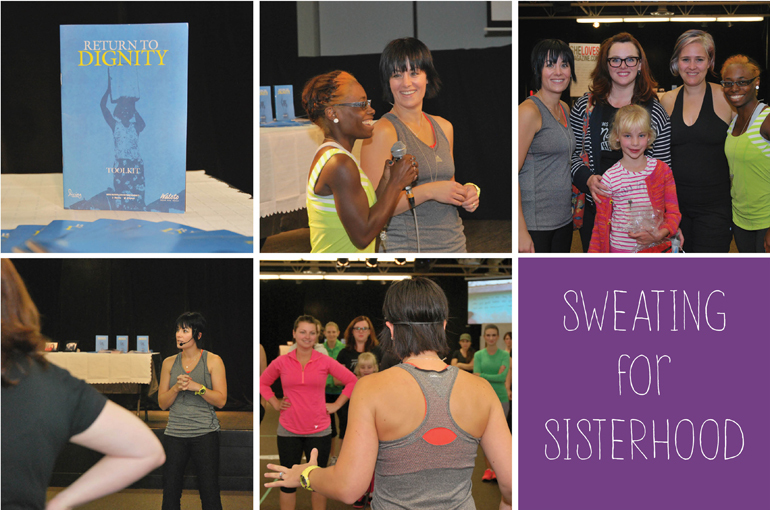 We began organizing a fitness-themed fundraiser: Sweating For Sisterhood. For two months, this project consumed my existence. My son began to think Elmo was his new mom and the laptop, his new (very demanding) sibling. My husband begrudgingly became accustomed to living with a wife masquerading as a very cranky Energizer Bunny. Meanwhile, I drained every grocery store within a ten mile radius of Cookie Crunch Dairy Milks. October 16 arrived—the day of the event and launch of my blog post. I was dead-on-my-feet but my superhero cape was still firmly in place. I was ready for God to open the floodgates. Why wouldn’t God? I had said “Yes,” after all. Now it was God’s turn to make it all happen. The event was gorgeous and moving and everything we wanted it to be. Except for one teensy thing. There weren’t nearly enough people to raise $10,000. I am forever and a day indebted to every woman who came out. But I knew it wouldn’t be enough to reach our goal. A solid drop in the bucket perhaps. But still, only a drop. Most of all, I was angry with myself. For not being enough. For falling short. I was forced to be blatantly honest with my SheLoves family about All.The.Feelings I was experiencing. You see, Idelette wanted me to write a follow up post on the event. I had to admit that unless she wanted a post filled with tears, rage, and a sappy ode to a chocolate bar, I was not the girl for the job. Wisely, she decided to write the post. Of course, Idelette’s piece was stunning. Donations began to pour in. Which was bizarrely difficult for me. I couldn’t help but compare. I couldn’t help but ask God why He didn’t just ask someone else to do it, since I obviously wasn’t enough. Want to know something true? (And I hope I’m not being too presumptuous.) You are no less of a help to the girls at that school for not writing a blog today. You are doing what’s been asked of you and that is fantastic! The rest is in God’s hands. Way to let others pick up a few legs of the relay instead of being the ball hog. No one likes those people. That note brought me my longed-after epiphany, though not the fuzzy one I was expecting: I am a ball hog. False responsibility is just what I do. Once I say, “I’ve got this,” no one else gets to say it. No one else gets to be burdened with my burden. It’s my burden. It’s also an exhausting way to go about life. God didn’t give me that ball so I could carry it until I collapsed. He gave it to me for the kick-off. You see, God knew I would kick it hard. Hard and far enough to land right in front of the next person God had earmarked. 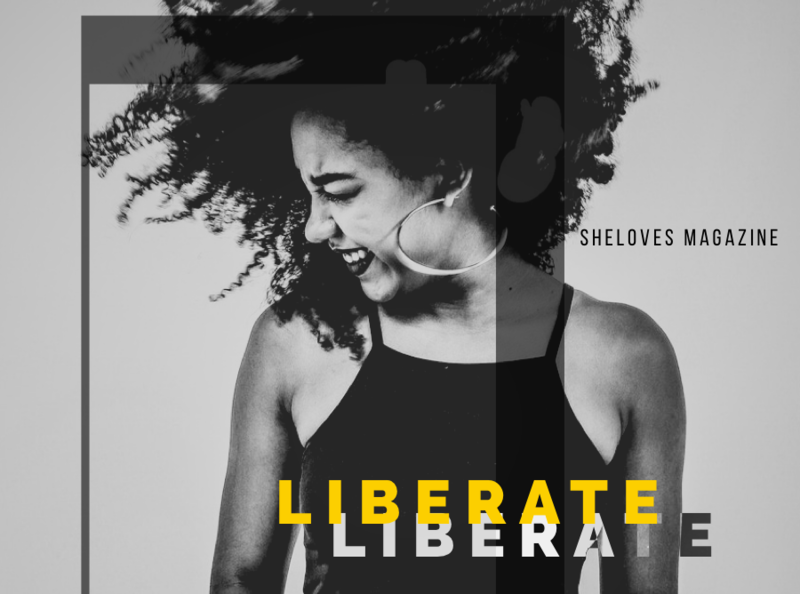 On Friday, Tina picked up the ball from Idelette and wrote a jaw-dropping-amazing post. 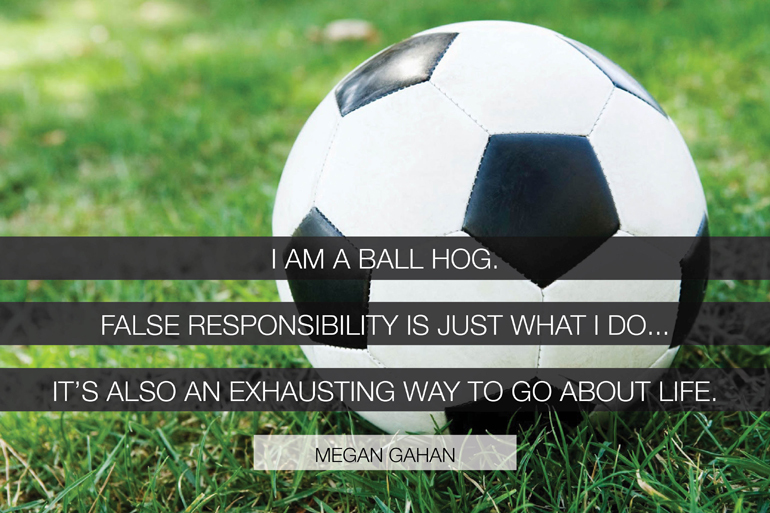 And when those inevitable feelings of insecurity and false responsibility came creeping back up, I had to remind myself to stop hogging the ball and look around. And I saw something that changed everything. I saw this sisterhood. Rising up. Standing on each others’ shoulders. Women and men (whoop whoop!) from all over the world, uniting. Coming alongside these precious girls who need an army. Not one or two Energizer Bunnies with a hero complex. A big, crazy, God-loving army. I watched as donations came in from Germany and the Netherlands. 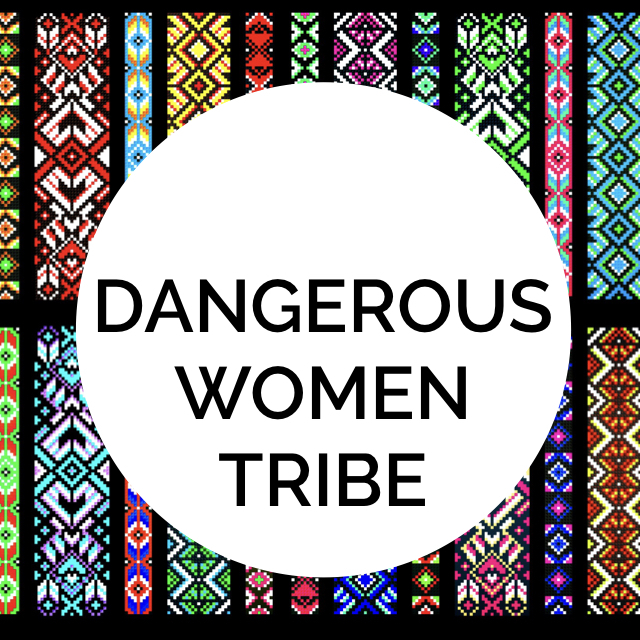 From Canada and Djibouti and Dubai and South Africa and our sisters in the United States. And I realized that I don’t “got this” at all. Me and my sad, wrinkled, balled-up cape don’t have this. And WE have done something incredible. Something beautiful. Something that is leaving a holy mark on this messy world. To date, we have 186 girls sponsored and counting! One-hundred-and-eighty-six little world-changers-to-be who will be able to move forward with their education. That’s $7,456 raised in 14 measly days! Look what WE have done. Look what God has done. If you missed out, there’s still time to pitch in for the final stretch. Our goal is to sponsor 250 young women. It only takes $40 to keep a girl in school for a full year. So thank you. From the absolute depths of my heart. For picking up the ball. For picking me up off the floor. For standing with a big hairy dream.